Because of high housing prices and strict lending rules, home ownership is out of reach for a growing number of Canadians. In its latest budget, the Federal Government attempted to address housing affordability; but their efforts fell short. Meaning, housing affordability will remain an untenable dream for many young Canadians. It takes first-time home byers 13 years to save up a 20% down payment. Those who start saving for a down payment right after high school won’t be ready to get their first mortgage until they’re 30 years old. If they go to university, assuming they have no student loan debt, they won’t be ready to buy a home until they’re in their mid-30s. To put that number into perspective, it took on average of just five years for someone in the 1980s to sock away a 20% down payment. Those who fail the tougher lending rules have to rethink what they’re going to do. Qualify for a smaller mortgage or buy a smaller house? If you live in the GTA you simply can’t get a home on a smaller budget. To make housing more affordable the government introduced some measures in their 2019 budget. Those adjustments fall short of addressing housing affordability. For example, first-time home buyers can now put $35,000 from their RRSPs, up from the $25,000 limit, toward their down payment. Unfortunately, first-time home buyers are younger. The vast majority will not even have $35,000 in their RRSP to access. Meaning, this does not make housing affordability in the GTA and Golden Horseshoe any easier. Strict lending rules continues to mean that Canadians looking for a mortgage will be rejected by the banks. Fortunately, those tough borrowing rules only apply to federally regulated institutions, like Canada’s big banks. Because Mortgage Company of Canada is a Mortgage Investment Corporation (MIC), it does not have to comply with these restrictive federal rules. This means that potential home buyers in the GTA and Golden Horseshoe, and other regions like Ottawa, where housing affordability pressures remain, are turning to the Mortgage Company of Canada to secure mortgages and get on the property ladder. Strict lending rules are impacting housing affordability across Canada. But it is an even greater issue in the Greater Toronto Area and Golden Horseshoe. Not that long ago, those with good jobs and strong credit scores could secure a mortgage. Not anymore. Even well-qualified individuals are being turned away by traditional lenders at an alarming rate. At the same time, this perfect storm also highlights the benefits of using a MIC like Mortgage Company of Canada. 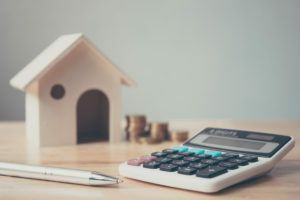 The housing affordability issues and higher mortgage rejection rates has also illustrated the long-term benefits of investing in the Mortgage Company of Canada. That’s because our diversified pool of mortgages secured by residential real estate in the GTA and Golden Horseshoe has allowed qualified investors in the Mortgage Company of Canada to enjoy above-average yields. If you invested $100,000 with Mortgage Company of Canada in 2009, by February 2019, that equity would be worth $267,125. Investors have been able to enjoy consistently high returns because we provide them with an attractive risk-adjusted return by investing in mortgages secured by single family homes in the GTA. Our diversified mortgage pool is made up of 747 mortgages with a total portfolio valued at $238 million. In February alone, we funded an additional $17 million in mortgages. Because of the strong real estate market in the GTA and Golden Horseshoe, our portfolio has increased by 66% over the last 12 months. Of that total, 80% of these residential mortgages are located in the GTA; 11% are in the Golden Horseshoe, and 4% are in Ottawa. The rest of our residential mortgages are located in major urban city centres. More than three quarters (76%) of our portfolio, is made up of first mortgages; approximately 24% is made up of second mortgages. Overall, 55% of our mortgages secured by residential real estate matures in six months; 100% matures in less than one year. Mortgage Company of Canada is led by one of the most knowledgeable management teams in the MIC industry, with a combined 45+ year’s experience in real estate, the risk market, and the public market. On top of that, the Mortgage Company of Canada is overseen by an independent Board-approved credit policy, something unique to the entire MIC industry. It also follows a stringent underwriting analysis and leverages its third-party mortgage brokerage relationships as well as affiliated mortgage brokerage for quality mortgage originations. Further, management and the Board of Directors have invested approximately $10.6 million in Mortgage Company of Canada, on the same terms as our investors, ensuring our investments are aligned. To find out how you can become an accredited investor with Mortgage Company of Canada, visit our web site or contact Mortgage Company of Canada at 1-866-318-7222. 1. “The federal budget’s attempt to address housing affordability is not brave enough,” The Globe and Mail, January 20, 2019; https://www.theglobeandmail.com/opinion/article-the-federal-budgets-attempt-to-address-housing-affordability-is-not/. 2. “February Newsletter,” Mortgage Company of Canada web site, last accessed March 20, 2019; https://www.mcoci.com/wp-content/uploads/2019/03/Mortgage-Company-of-Canada-February-2019-Newsletter.pdf.